All-Weather Floor Mats were intended to give the best possible protection for your 2000 Audi TT's floor. Many of our front and rear mat applications are model specific, while others are assigned as the best possible fit for your 2000 Audi TT from our many shapes and sizes. Some rear mat sizes are designed to be trimmed so that they may be customized to fit almost any vehicle. 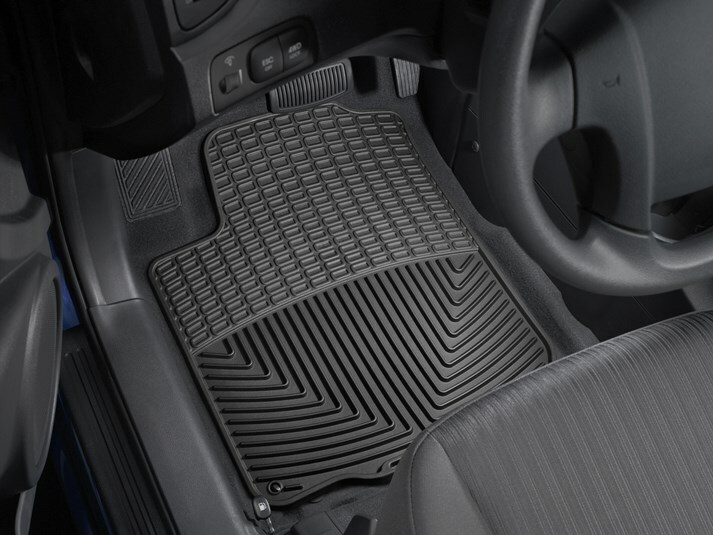 I've put WeatherTech floor mats in every vehicle I've owned - they are a small investment for the protection they offer when you live somewhere like rural Nebraska with mud, rain, and snow. I actually purchased my latest set before I even purchased the car they would go in, as WeatherTech floor mats are a prerequisite for any vehicle I own! In 1999 I purchased a new Toyota 4 Runner. I could not open the front windows even a crack when it rained without getting wet. I had noticed an ad for Weather Tech Side Window Deflectors in Auto Week Magazine. I ordered them and was impressed with the quality and ease of installation. I still have that Toyota and the deflectors look as nice as the day I installed them. So, when it was time to purchase floor mats for my new Audi TT , the only place I shopped was the Weather Tech web site. They fit great and I am confident they will serve me for the life of the car. Thank you for your quality products.